This is a very scarce 1989 painting! 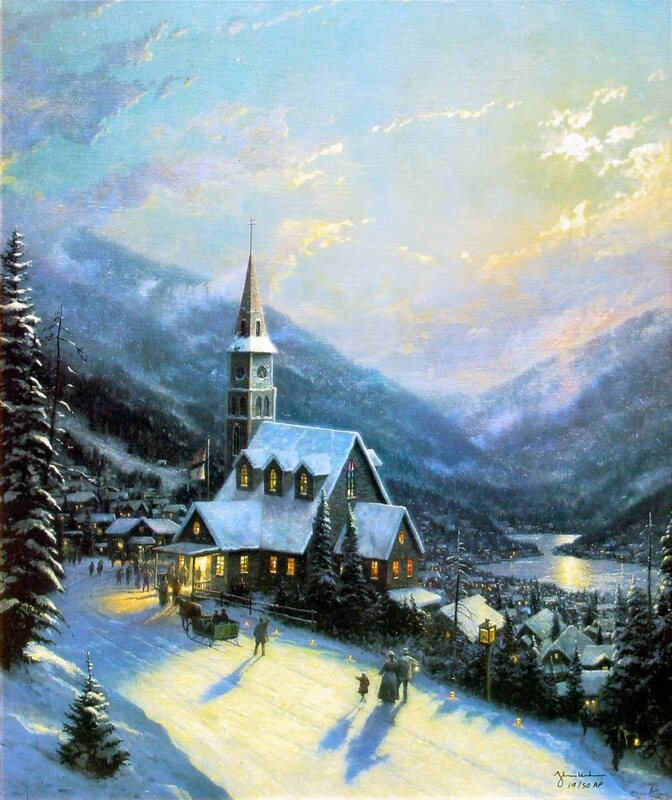 This is a very hard to find 1989 Thomas Kinkade painting! ++++ Rare! This Edition is Limited to only 935 in the world! 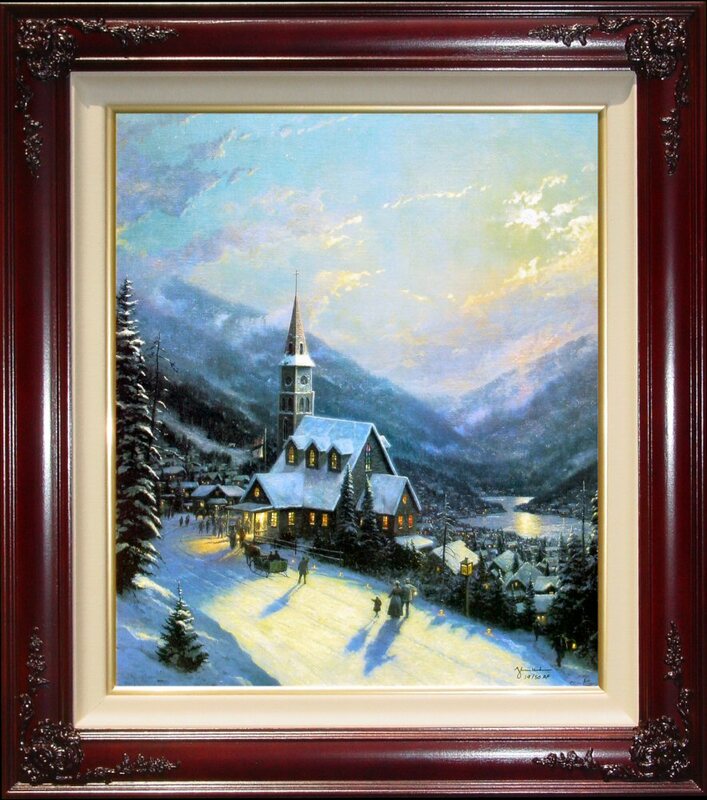 ++++ Brass Plaque with the legend "Moonlit Village ~~ Thomas Kinkade"
++++ Certificate of Authenticity Included! "In my travels throughout America I've noticed that churches are often built on a hillside or knoll as a means of emphasizing their presence in a town, and I find this to be a particularly poignant concept. These hillside churches, like lighthouses, are high up, so that, figuratively speaking, their light might be seen from afar. I wanted to capture a bit of that feel in my painting, Moonlit Village."